Today for Totally Inspired Tuesday I wanted to share a few cleaning and organizing tricks that I have come across. I will be honest I need to be better about keeping stuff organized! have that problem…she helped me ALOT! There is NEVER a better time to get organized then now! Right before Christmas is a great time to get rid of ALL the toys you kids no longer need or use and all the clothes that no longer fit! I promise you will be soooo happy to have a place for all your new goodies from Santa! one of the best blogs I have come across. everyone has an extra 15-20 mins! 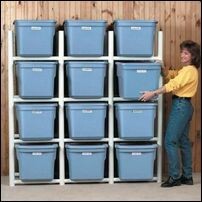 I LOVE these organizing bins…this would be perfect inside a garage or storage unit, or shed in the backyard. I would LOVE to have a place for all my holiday stuff to be stored besides the attic. 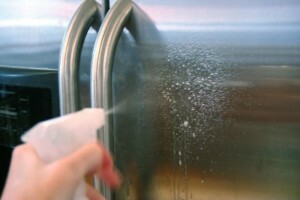 Lastly, here are a few cleaning tips that I needed and love! I have saved MANY more cleaning/organizing tips and tricks! 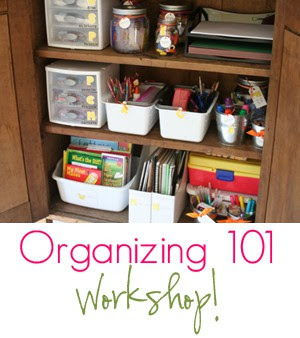 Are you ready to get organized before the busy Holiday Season?! 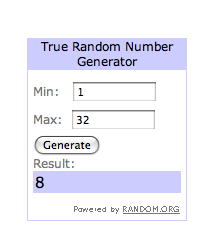 Please contact us by Friday, Nov 18th at noon to claim your prize! Thank you SO much for the sweet shoutout! xoxo! You may have the best cleaning products available or be assisted with hard working maids for getting things organized in your space from time to time – but knowing what it takes to keep it clean and clutter-free is best. It is not completely to your advantage if you depend solely on house cleaning service Nashville providers (for instance). Asking the right questions and knowing the purpose as to why you want to maintain the cleanliness of your home, apartment or office is essential to help you develop an organizing system to follow. Nice reading. I like the cleaning tips that have been shared here. By organizing the things wisely we can give a spacious look to our home. Cleaning is an integral part of our lifestyle but many a times it is difficult to it by own. For instance, carpet cleaning! We have three expensive carpets in our home and just can’t take risk to clean them with random cleansers.So, I took the help from Dustbox cleaning services and I am happy for my decision. 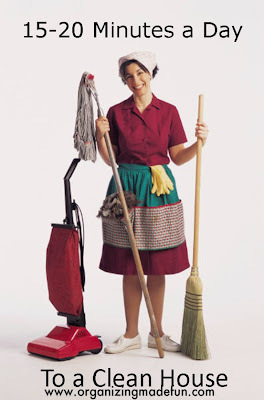 Cleaning is a very important activity and if we do daily cleaning, then we can make our home so beautiful. Even daily cleaning can save out time. We can also divide our cleaning work into small parts and then assign these parts to each family member then it is more effective way to do cleaning. Experience House Cleaners who will treat your home just like it was our own. We can help you enjoy a clean and tide home. Lots of experience, organization and attention to details. 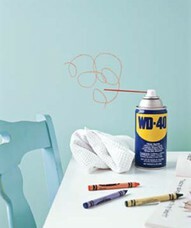 Had no idea WD40 got rid of crayon markings! Thanks!